ACTA's Membership Satisfaction survey coming soon! Jamaica Tourist Board launches "Join Me In Jamaica"
A night at the movies for 2 when you become a new Costco member! *This offer is only available online with your perk code. Movie tickets will be mailed to you separately. On all-inclusive luxury voyages with Regent Seven Seas Cruises, Canadian Residents receive special savings in select suite categories on select voyages with Canadian Dollars at Par pricing. They will enjoy FREE Business Class Air on intercontinental flights, FREE Unlimited Shore Excursions and much more. 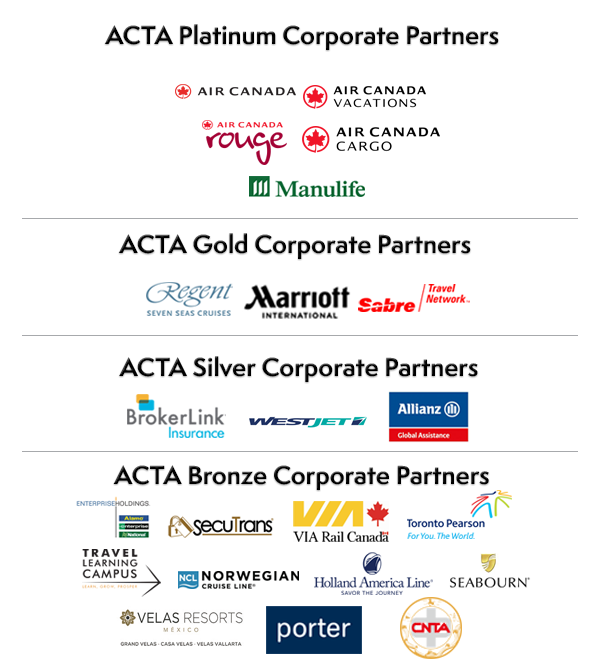 Visitors to the travel directory can now search for an ACTA Travel Agency and see a list of Certified Travel Counsellor(s) who work in the ACTA member agency. Alternatively visitors can search specifically for a CTC or CTM in their area!